POMEROY — Have you ever forgotten to return a library book? Maybe you just haven’t finished it yet, or just got busy and forgot to take it back. 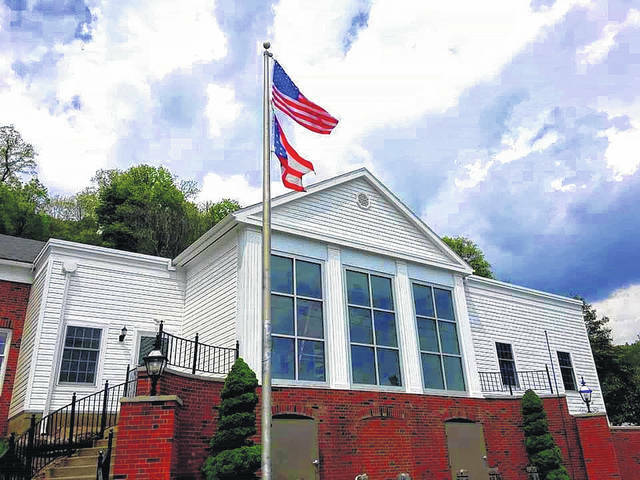 Whatever the reason, the Meigs County District Public Library does not want that overdue book to keep you from coming back to the library. Director Kristi Elbin explained that the library recently went “Fine Free”, taking away those late fees which could be stacking up. The announcement came during National Library Week, which is observed April 7-13. “We want people to have the books. The goal is for people to be able to check out books and be accountable,” said Eblin. She noted that the library is not there to punish people who may be late returning a book, but to provide the books and services to the community. In the past, individuals who may have a past due book, or a late fine on their account, would call the library concerned that they may not be able to use the computers or other services until the fees were paid, or would simply be afraid to stop in the library. “Life happens, we don’t want that (the overdue book) to be the reason for someone to not come back to the library,” said assistant director Chelsea Poole. She added that in the past people would seem scared to call or come back in for fear of the fines. The change to fee free eliminates that concern. The library will still send out reminders for late books as has been done in the past. Those who may lose or damage a book would still be required to pay for the item. Individuals must still return the book or movie before they are able to check out others, but they are welcome to utilize any of the library programs and services. Eblin said that going fine free has been a recent trend at a number of libraries. The library also has several activities planned for National Library Week, including storytime on Wednesday in Pomeroy and Thursday in Middleport, Wiggle Giggle Read on Thursday, a stuffed animal sleepover on Thursday night and the annual Egg Hunt on Saturday in Racine. For more information on the Library and its programs visit the Meigs County District Public Library on Facebook or at www.meigslibrary.org.